Scala Hosting Review: Things They Don’t Want You To Know! Ooh, Read this first! December 20, 2018 April 3, 2019 learnanetLeave a Comment on Scala Hosting Review: Things They Don’t Want You To Know! Ooh, Read this first! Are you considering Scala Hosting to create a website but not quite sure if it’s for you or not? If you answered YES, then you better read this Scala Hosting Review FIRST BEFORE getting started! Today you learn everything that you must know about Scala Hosting to make a solid decision with them, okay? Disclaimer: This page contains affiliate links. I receive a commission they are used. This doesn’t affect your pricing at all, rather allows me to test web hosting for reviews like this Scala Hosting Review. There are many web hosting providers that promise unlimited this, unlimited that, but only a short few actually measure to the promise. See what I mean by watching this video! What does Scala Hosting offer that is so unique from other web hosting providers? When comparing Scala Hosting plans & costs with others online, you will notice quickly one thing that makes them stand apart from other web hosting: Web visits allowed per month. 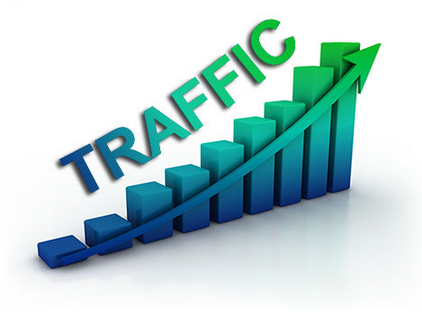 Web traffic is a big deal that can really make or break your website. As you scale while your website traffic spikes, it is important to have a web host that can handle this. Selecting the wrong web hosting packages can cause your website to crash and not be online when customer search for you. This is one area that I feel Scala hosting has under control. Why do I say this? Scala offers 4 shared hosting packages that are pretty easy to understand: Mini, Start, Advanced and eCommerce. These 4 shared plans range from $3.95/month – $13.95/month with web traffic allowances of 90k – 360k web visits per month! Another plus about Scala hosting is that they allow you to host “unlimited websites” along with unlimited web space & bandwidth. This is something unique that most don’t offer for these price points. Most web hosts either give you unlimited websites with a specific GB allowance of web space. But you can get unlimited websites even with the 1st tier Mini! The Start plan for only $4.95/month is the most popular of the 4 hosting plan. However, I think that if you are a beginner and creating your first website, the Mini plan at $3.95/month would be better deal for you in my opinion. Currently, there is a really nice special on their web hosting where you can get 6 months for the price of 3! This is a great deal that I wanted to share with you today in this Scala hosting review. Get Started Here @ www.scalahosting.com! Scala Hosting offers a 30 day money back guarantee on all of their web hosting plans. When you compare most competitors, this is pretty much standard time frame that is extended to clients. Competitors like Fat Cow, WPX Hosting, Bluehost and Siteground all offer 30 days. However, there is something that I must reveal to you in this Scala Hosting review! 30 days is great, but others like Pressidium, a managed WordPress host offers 60 days while Inmotion hosting offers 90 days. In this Scala hosting review, I want to be honest and give you the good and the bad. This includes highlighting features that other web hosts may excel in over Scala hosting. What’s Good About Scala Hosting? For the costs, Scala hosting offers more value in the way of web traffic. Most web hosting have a certain cap off point of how many visits are support per plan. For example, with Siteground Startup plan, you get only 10k visits for $3.95/month. WP Engine gives you 25k visits, but cost a whopping $35/month! But again, Scala’s Mini plan gives you 90,000 monthly visits for only 3.95/month! Also, Scala Hosting is like the only web hosting company that lets you create multiple websites with ANY of their plans. Most competitors only allow this on 2nd and 3rd-tier plans. Also, they have really great uptime on servers. The Cons of Scala Hosting? Not too many cons. The only exception is that you can only get a free domain for life if you select the Advanced or eCommerce hosting plans. Do you want to transfer your website to Scala Hosting? If so, there is a free site transfer service that you can use today. Some web hosting companies charge a fee move websites, but Scala hosting does it for FREE! So when it comes to delivering your website information across the web, CDNs make it easier to do it fast. This is important to have being your business website may have visitors from all over the world. They will help to speed up your page loads and make it easier for viewers to see your website content online. According to gtmetrix, a CDN will prevent your website from crashing when traffic spikes. Also, it distributes bandwidth across multiple servers versus just one. As your website traffic grows over time, you will need web hosting that can handle & process website hits simultaneously with multiple servers. A CDN does the job. Scala Hosting is one few shared web hosting that give FREE CDNs. The only other companies that I know who offer them for FREE are WPX Hosting & Pressidium. These 2 hosts specialize primarily in WordPress managed hosting services. One things that matters most in addition to costs and good uptime is having good customer support. Scala hosting has 24/7 customer support is place which is great in the event you have issues and need assistance. Also, many reputable websites like TrustPilot.com rate Scala Hosting with an amazing 5 stars! If this review of Scala hosting today, you have learned all about what Scala hosting offers as for shared web hosting. Shared hosting is the most affordable that you will find for the high volumes of traffic these packages support. In fact, when it comes to website visits (visitors) per month, there are no web hosting competitors that can match what they bring to the table. Most competitors charge like 10 times more! (example WPENGINE). Don’t overpay for web hosting! The bottom line is that if you are looking for a cheap web hosting provider that can handle lots of web traffic and offers more value upfront, then you should try Scala hosting today! Get 6 months of web hosting for the price of 3! To Get Your Website Started Today, Visit Here => www.scalahosting.com! InMotion Hosting Review - Read this Before Buying InMotion Hosting Web Services! Previous Post Previous post: Fat Cow Hosting Review: A Reliable Cow To Milk or Not? Read this first? Next Post Next post: Target Keurig K50 Review: Read this first before buying this coffee maker!